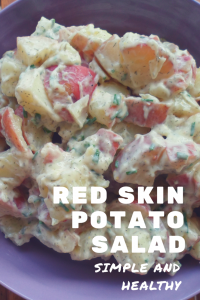 I know many people will be barbecuing and picnicking at some point this weekend so I thought I would post a recipe for healthier potato salad because it is a picnic/bbq essential. 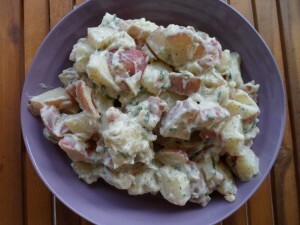 Potato salad can contain a lot of fat, calories and sodium, especially if you buy it premade. In my recipe, I used just enough light mayonnaise and only a little salt to cut the fat/calories and sodium content. But then of course when cutting salt and fat you want to make sure that it still tastes good so I added vinegar, pepper, dill, chives and mustard for flavor. The vinegar does add quite a zing, so if you are not a huge vinegar fan, cut the amount in half. Chop potatoes into bite size pieces (no need to remove skin) and place in a saucepan with water covering potatoes. Bring to a boil and cook until tender, about 10 min. 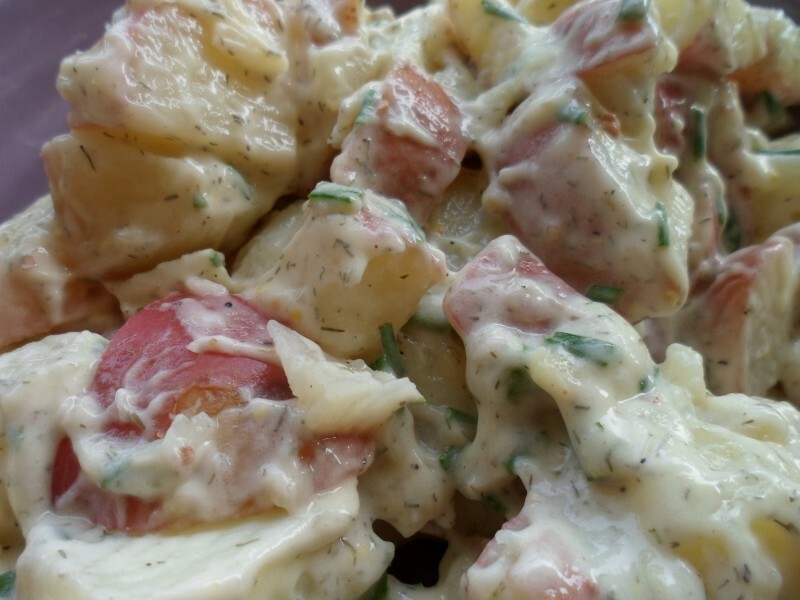 While potatoes are cooking, mix mayonnaise, dill, chives and mustard in a small mixing bowl and refrigerate. Drain potatoes after they are done cooking and place in a large mixing bowl. Add vinegar, pepper and salt to potatoes, toss to coat. Allow potatoes to cool and then add refrigerated mayonnaise mixture to potatoes. Mix gently and refrigerate until ready to serve. 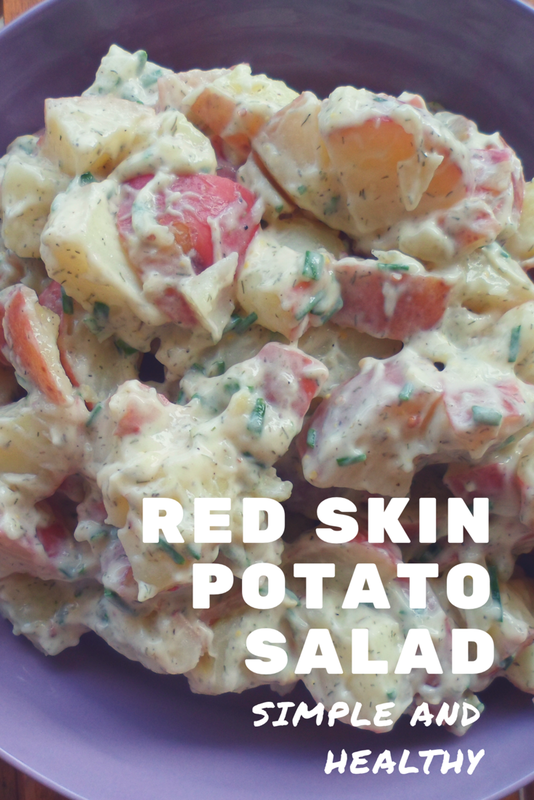 Feel free to add celery or onions if you like a little crunch in your potato salad.